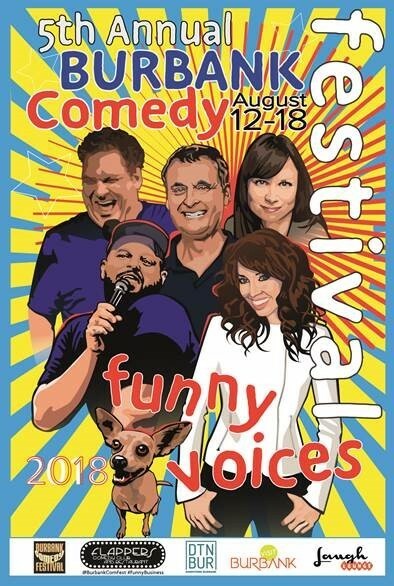 Kids, get excited because NOT ONLY is the 5th Annual Burbank Comedy Festival happening Sunday, August 12 through Saturday, August 18th, but “Comic To Watch” NICKY PARIS (Wendy Williams, MTV) has been chosen as the esteemed red carpet host. The fest which has expanded to five venues, will include over 100 standup, improv and variety performances, including a festival kickoff show with Jeff Garlin, Wittiest Women with Mary Lynn Rajskub, live podcast taping of Voiceover Buzz Weekly with Chuck and Stacey, a one-on-one interview with co-creator of EVERYBODY LOVES RAYMOND and star of SOMEBODY FEED PHIL on Netflix, Phil Rosenthal, and the unforgettable OMG Yasss You’re Amazing with Daniel Franzese, just to mention a few! COMEDY CAKE: First off, how YOU doin’? Let’s start out with the first question that popped into my little head when I heard your name. Have you ever tried on one of Wendy Williams’ wigs, and if so, which one? Gosh knows, I would. NICKY PARIS: Ha ha! I have not but let me tell you, Wendy has had more hair on her head than Chewbecca. I am still an avid watcher of the show and in addition to the anticipation of what she will say, I always tune in to see what wig will be next. She can wear it all- short, long, dark, light, maybe even a mullet. CAKE: How would you convince a person on the internet drinking champagne in a red solo cup and wearing flip flops to come out to this year’s Burbank Comedy Festival? PARIS: I would say drive your home to the Burbank Comedy Festival and enjoy some live entertainment from some of the best in the business! There is so much going on at this year’s festival from the live shows, to panels, podcasts and more. There is something here for everyone! CAKE: How did you land the coveted role of red carpet host? PARIS: A few weeks ago the booker of the festival saw my standup here in Los Angeles and I was asked to be the host with the most! I was discovered, like a young Rihanna. Well, the only difference between me and Rihanna is I prefer to wear clothes. All jokes aside, I’m so excited to be hosting the red carpet. What am I going to wear!? CAKE: Can we get a preview of the questions you’ll be asking the fest’s entertainers? I’d suggest getting chummy with Phil Rosenthal. Imagine the foodie possibilities! CAKE: Good idea. Which performances at the fest are you looking forward to seeing in person? PARIS: I’m super excited to see all of the headliners but one of my personal favorites is Mean Girls‘ Daniel Franzese. We perform together a lot and has become one of my really good friends. People go crazy over Mean Girls to this day. We were at The Cheesecake Factory and he got recognized. Can’t a star finish his Lemon Raspberry cheesecake? CAKE: Guess that’s the price of fame. What got you into comedy? PARIS: It was not planned! Everyone always told me I should do standup but I never thought it was something I could do or want to do. That is until I was on a cruise ship and my friends forced me to perform at an open mic in front of 100 or so people. I went up had nothing planned, caught the bug and 7 years later here I am and it truly has changed my life. My comedy is the most important thing to me. Sorry, Mom. CAKE: What’s the best part of being in the entertainment business, so far? PARIS: I love the art of entertainment, not the business of entertainment. There is nothing I love more than performing and making people happy. When you come see me perform, I want it to be an escape for people. No matter what you’re going through, let’s just forget all of our problems for the next few hours and have fun. I’m kind of like a doctor. Not a real doctor, obviously, more like Dr. Dre. CAKE: Who are your comedic role models? PARIS: I’m obsessed with the fearlness that was Joan Rivers. I miss her every day and wonder what would she would say about so many things. CAKE: What would be your dream red carpet gig, besides the Burbank Comedy Fest, of course? PARIS: I would love to host the red carpet for the Grammy’s or VMAs. I think it’s the perfect destination for me to meet my soul mate: Justin Bieber. Hands off my man, Hayley. CAKE: What upcoming projects can you reveal to our adoring audience? PARIS: I just got cast in a really exciting project. I’m not able to reveal the details yet but so excited to share with you very soon! CAKE: Tease! Thanks for talking with us, Nicky. 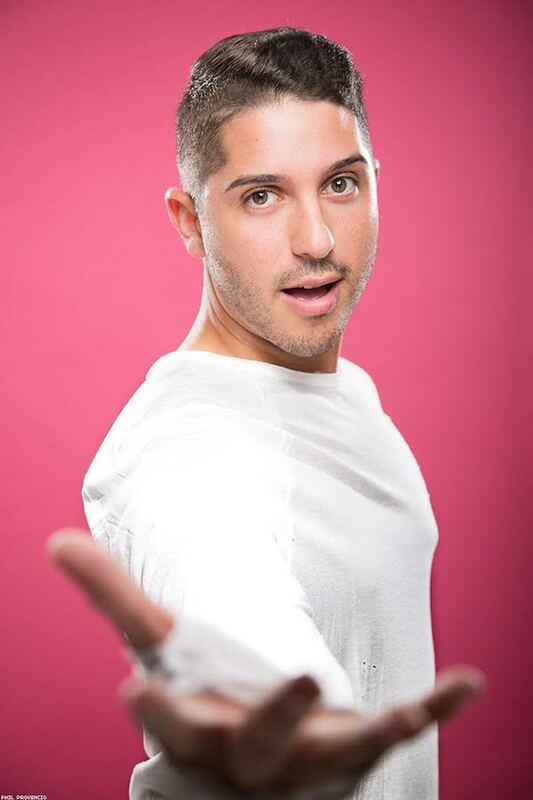 Mentions: Nicky can be followed on Instagram and Twitter at @NickyParisBitch. Festival passes, individual show tickets, and special hotel rates are now available at http://www.burbankcomedyfestival.com/. A majority of shows will be live-streamed courtesy of Laugh Lounge. 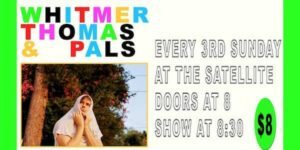 Performance venues include Flappers Comedy Club, LA Connection Comedy Club, Hilton Garden Inn Burbank Downtown, Barney’s Beanery, and Gordon Biersch Brewery Restaurant. Nicky Paris photos by Phil Provencio.